New logo, new world champions title in soccer. But what about futsal in France? Today is definitely not the best day to provide you with an answer, as looks like the FFF just moved one step beyond in terms of game promotion. No more play-off system in Division 1, with the chance to have a regular season already "over" some weeks before the end, also taking in mind the "aggressive" market transfers characterized by the top clubs in the country. But the main point is... why? Financial matters or what? We will try to find out the actual reasons as soon as possible. In the meanwhile the disappointment caused by this Executive Committee decision is already flying high in the local futsal community. 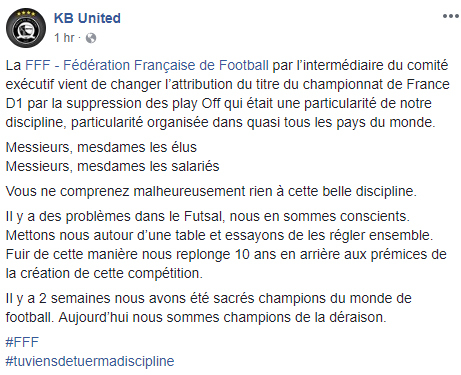 Vous ne comprenez malheureusement rien à cette belle discipline is the French Champions KB United reaction addressed to the FFF Futsal Committee through their Facebook Official Page, waiting for other clubs positions. What is probably underlined and revealed by the KB United management declaration is that this is not a "shared & agreed" decision, or at least not by the national champions who will face Barca, Halle Gooik and Benfica in the next UEFA Futsal Champions League Main Round Group 1 (Path A) set to happen in Belgium. 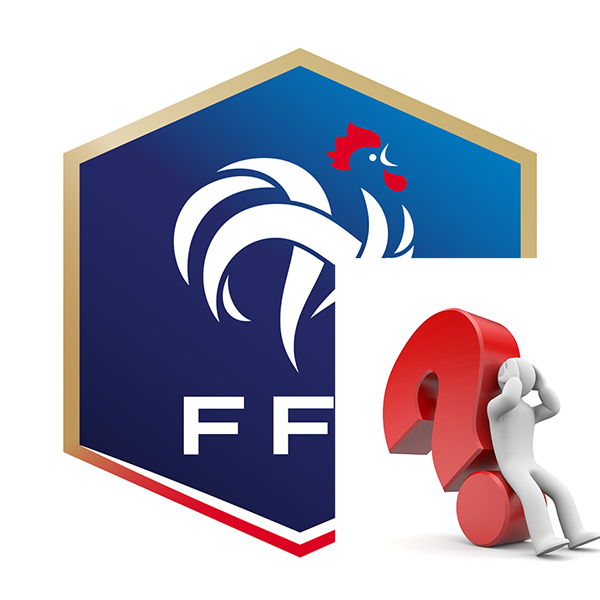 No doubts, following the international trend, on the fact that a season without play-off could determine a lack of interest and enthusiasm for the domestic competition in France. So let's wait for further development and hopefully good news.